Jake is having a great time reading about his adventure with Grandma on MzDaVinci. 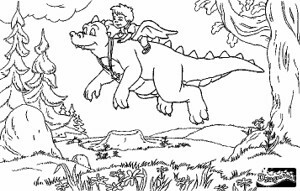 He loves imagining his adventures with Hope, Noah and Grandma and his new dragon friends. Here's a picture of Jake with one of his new friends.